← What did Jesus version of community look like? 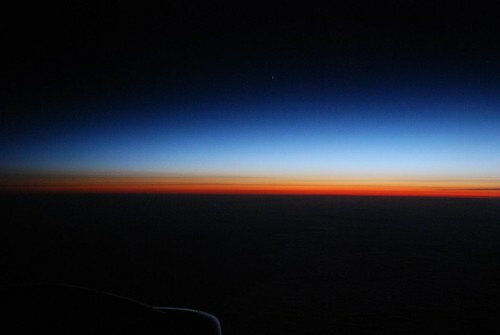 Dawn at 35,000 feet, originally uploaded by timabbott. Like playing peek-a-boo around the earth, somewhere in time between Ottawa and London the glow of the sun peeps over the horizon, jut as it had faded behind us only a couple of hours previously.